Money Advice +CRM provides a capacity to generate all the letter template a broker’s office would use. Users are additionally able to add/manage their own letter and e-mail templates. Users are able to automatically brand all such communications with their own signatures/logos as well. Letters, emails and other documents generated on Money Advice +CRM are automatically saved to the system. 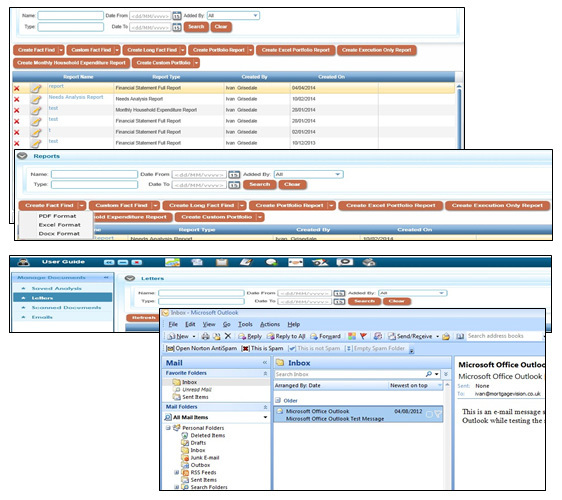 Inward emails (from Outlook) and other documents can be easily saved to the system and attached to the client or/and the client policy/product. This functionality allows all communication with a client to be recorded with ease, creating an invaluable record and save you substantial time managing your clients’ data and documents.